On March 29, 2012 Captain Scott Anderson arrested Kenyatta Daron Howard for possession of a controlled substance with intent to sell or deliver and possession of drug paraphernalia. Last year the Levy County Sheriff's Office Drug Task Force executed a drug search warrant in the Chiefland area. 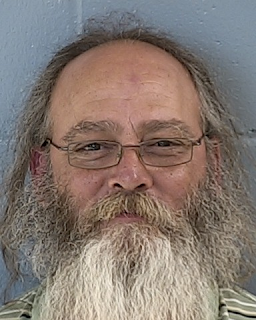 Several subjects were arrested in the search warrant, but Howard was allowed to leave the residence since he was not the focus of the investigation. Inside the Chiefland residence a large amount of cocaine was seized during the search warrant and a witness came forth and testified that Howard was weighing and packaging the cocaine the night the search warrant was executed. After the above search warrant the Drug Task Force began an investigation on Howard. 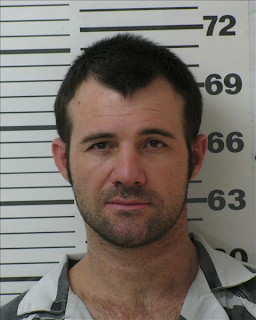 Agents purchased cocaine from him in Levy and Dixie Counties and obtained a warrant from the 2011 investigation. Howard is known in Levy County and he is a mid-level drug dealer. Prior to Howard's arrest he was out on bail ($360,000) from local drug charges. 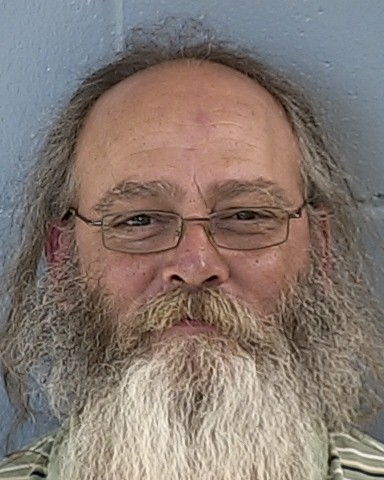 Howard was arrested on the Levy County warrant and has a $100,000 bond and the warrant in Dixie County he has no bond. Major Evan Sullivan said "The Levy County Sheriff's Office has a zero tolerance for drug dealers". "We will seek, find and arrest all drug dealers to make our streets in Levy County safer." Sergeant Mike Narayan arrested Henry Joel Melendez Prestol for three counts of burglary, three counts of grand theft, six counts of dealing in stolen property, forgery and uttering a forged instrument. Two different horse farms in the Morriston area reported numerous thefts from January-March 2012. The Oak Ridge Training Center reported on January 16th that unknown person(s) stole a laptop valued over $600.00. On March 23, 2012 Oak Ridge Training Center reported that someone used bolt cutters and cut a lock and stole approximately 100 bags of horse feed. On March 29, 2012 the Big Lick Farm in Morriston reported four horse saddles and a pole saw stolen. Deputy Scott Stancil received a tip that Henry Prestol may be responsible for the thefts at the two horse farms and he contacted the Criminal Investigations Division. Deputy Scott Stancil, Sergeant Narayan and Corporal Mike Bell began following up leads and questioned Prestol on March 30, 2012. The investigation revealed Prestol stole the listed items over a three month period. The above Investigators and deputy recovered the stolen laptop, 76 bags of horse feed and the four saddles and returned the items back to the victims. Prestol admitted that he stole the items and sold the stolen property to friends. Prestol additionally admitted to stealing a blank check from the Big Lick Farm. Prestol forged the victim's name and uttered the forged check at a Williston business. The Levy County Sheriff's Office and the US Marshals Florida Regional Fugitive Task Force arrested Benjamin Monroe Hamilton for an outstanding Highland County warrant. 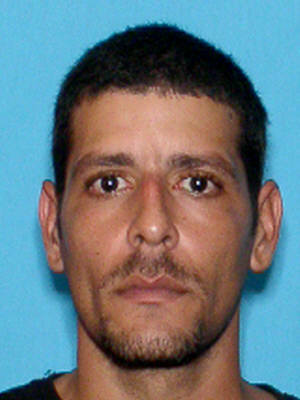 The Task Force Unit received a collateral lead that Hamilton was living in Levy County. Hamilton has been on the run since 1996 and was living in the Mont Brook area under the name Benjamin Crawford. Hamilton was allegedly involved in a bar brawl. The fight led to the parking lot and Hamilton ran the victim over with a vehicle seriously injuring him. On March 29, 2012 Levy County deputies Major Evan Sullivan, Captain Scott Anderson, Rob Bowers, Willie Barnes, Burt Miller and Sergeant Jay Bolton all sworn US Marshals were briefed in the Williston area before the early morning arrest. The plan was to allow Hamilton to leave his house since the Task Force had information that Hamilton may have a rifle inside the residence. The Task Force set up at Hamilton's house and surveillance was conducted on Hamilton's movements. The Task force followed Hamilton and he dropped off a friend at a Williston salvage yard. After Hamilton dropped off the friend the Task Force members converged on Hamilton and a felony traffic stop was conducted. Hamilton was arrested without incident and admitted that he knew he was a wanted man. 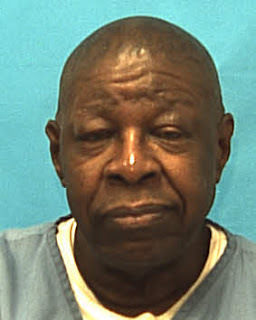 Hamilton stated that his attorney told him to stay out of Highlands County. Hamilton stated that he used the name Benjamin Crawford while living in Levy County. 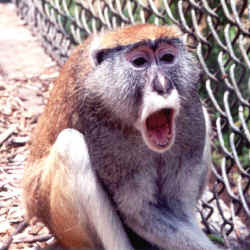 On Thursday, March 22, 2012 citizens in east Levy County reported seeing three monkeys. Lt Hunt the Commander of the Ag/Marine Unit responded and spoke to the complainant and he advised the monkeys have been sighted in the area of County Road 318/335. Lt. Hunt spent hours with the complainant attempting to locate the monkeys, but the monkeys again escaped from being sighted by authorities. Lt. Hunt did locate in the woods evidence that monkeys are in the area by locating a fence post where they scratched and also found hair where the monkeys had shed. Complainants complained that the monkeys are eating there pets food and also scattering the food making a mess in the carports. The Sheriff's Office has had numerous reported monkey sightings from citizens in the Williston area. Last year Chairman of the Levy County Board of County Commission, Mr. Danny Stevens reported seeing the elusive monkeys. Lt. Hunt contacted the Florida Fish & Wild Life Officers and will set traps in the area in attempt to trap and relocate the monkeys. The Sheriff's Office has no reports the monkeys have been aggressive towards people. 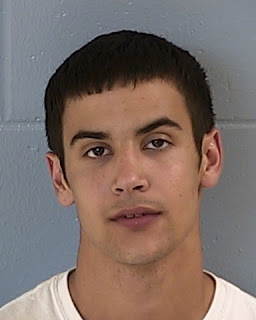 On March 22, 2012 Deputy Britton Drew responded to a physical altercation involving a firearm at 217 North Pine Street in Bronson. 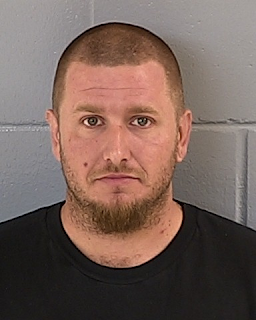 While responding to the call Deputy Drew was advised by dispatch that the defendant, Jimmie Mongo was armed with a shotgun and was fleeing the area in a black passenger car. Upon Drew's arrival he observed Mongo running with a rifle and jumped into a black car and left the scene at a high rate of speed. 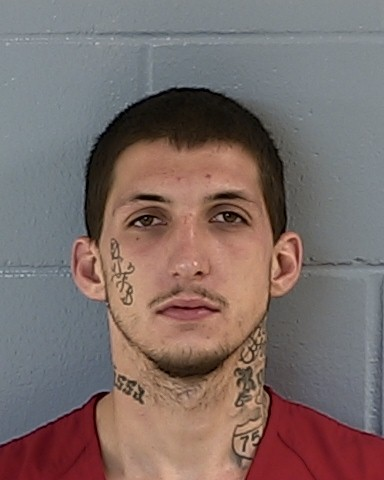 Deputies pursued the suspect vehicle to Boundary Street in Bronson where Mongo jumped out of the car armed with a high-powered rifle and ran on foot. Deputies chased the suspect through several residential yards and arrested him at gunpoint. The rifle was seized and the long gun was a 7mm rifle with a scope. The investigation revealed that Mongo was involved in a domestic disturbance. Mongo was speaking to his ex-girlfriend on the telephone and became very upset. Mongo went to the victim's residence and entered the house and started choking her until the victim passed out. The victim's relative heard the commotion and went into the bedroom to find Mongo choking the victim. When the elderly man, 68 years of age attempted to intervene Mongo struck the victim knocking him down on the sofa. The elderly male stated that Mongo left the house and returned shortly armed with a long gun and threatened his life. Mongo has 6 previous felony convictions for Assault, Battery, Burglary and Firearms charges. On March 21, 2012 the Levy County Sheriff's Office in conjunction with the North Florida Violent Fugitive Task Force, United States Marshal Service were attempting to locate Steven Allen Ross. Ross had an active Alachua County warrant for burglary and theft and he was on the run from authorities. Ross has a history of escape in Columbia County. Information was developed that Ross was hiding in Gilchrist County and he made comments that he would not be taken alive. Members of the USMS Task Force went to 6399 SE 62nd Court Trenton to execute the felony warrant, but Ross escaped out the back door and ran into a heavily wooded area. The manhunt continued for the next 6 hours by conducting surveillances at other known locations and highways in the area. The investigation revealed that a relative called a friend, Spencer Colson to pick up Ross. Colson was sent to a pre-determine destination and picked up Ross. Colson lives in Newberry and responded to Gilchrist County for the purpose of hiding Ross in Levy County. Upon Ross and Colson entering Levy County, Deputy Burt Miller a member with the USMS North Florida Violent Fugitive Task Force attempted a felony traffic stop. Colson was driving a green Dodge Durango and refused to stop and led authorities in a short chase. Deputies performed a rolling road block and forced Colson to stop. Colson was arrested for felony fleeing & attempting to elude a police officer and obstruction of justice. Ross was arrested for the active Alachua County warrant and they were both transported to the Levy County Jail. On March 21, 2012 Deputy Jason Gallup responded to a residential alarm at 19931 NE 33rd Street in Morriston. Prior to Gallup's arrival the Communication Center received a call from a man complaining about the alarm and identified himself as "Pudding Tane". Upon arriving at the alarm call Deputy Gallup observed a white male on the property. The man became agitated when Gallup asked him to identify himself and he identified himself as "Pudding Tane". Due to Pudding Tane not cooperating with the investigation he was detained and he became more evasive, combative and refused to cooperate with Deputy Gallup. The subject struck Gallup almost knocking him to the ground and he was subsequently arrested for battery on a Police Officer and resisting arrest without violence. The subject was later identified through fingerprints as Eric Priest and he didn't live at the residence. On March 21, 2012 Corporal Lauree Allen responded to a Chiefland home in reference to a burglary. Upon arrival the victim stated when she returned home she found garbage thrown on the kitchen floor. It appears the suspect(s) pried the back door and stole several shotguns and rifles valued at $ 2,500. CSI responded and processed the scene. The Criminal Investigation Division will follow up with possible leads in this case. On March 19, 2012 Detective Roger Bell and Mike Bell arrested Jonathon Jerome Sager for grand theft, dealing in stolen property, criminal mischief, resist arrest without violence and corruption by threats to law enforcement officers. Detectives arrested Sager and transported him to the Detective Division interview room. Upon interviewing Sager he requested to speak to his girlfriend and said he would fully cooperate with Detectives. Sager was accused of stealing a friend's chain saw, tools and electronics. Upon Sager speaking to his girlfriend he advised that he pre-planned to destroy the interview room. Sager used his head as a battering ram and broke the interviewing glass and destroyed the table and chairs. Sager resisted arrest and advised Detectives that when he got out of jail he would come to there houses and kill them. Sager is currently on probation for burglary and theft and a violation of probation will be forthcoming. On March 16, 2012 the Levy County Sheriff's Office Drug Task Force executed a search warrant and arrested six drug dealers and users. Prior to the drug raid Agents bought methamphetamine from Richard Pearson at 10530 NE 73rd Lane in Bronson. Agents obtained a search warrant from Honorable Tim Browning and members of the Drug Task Force and Detectives from the Criminal Investigation Division executed the warrant shortly after 7 PM. Richard Alan Pearson, 46, Bronson, Fl. was arrested for possession of methamphetamine with intent to distribute, possession of marijuana with intent to distribute, possession of a controlled substance, tampering with physical evidence, resist arrest without violence and possession of drug paraphernalia. During the raid there were numerous individuals on the property who ran and attempted to conceal and throw drugs on the ground. Richard Pearson lived in a motor home on the property and he had a surveillance camera that would allow him to observe anyone on the property. Pearson attempted to run and was tackled by Drug Agents. Inside the motor home Agents seized methamphetamine, oxycodone and cannabis that belonged to Pearson. Brook Brittingham, 31, Webster, Fl was arrested for possession of methamphetamine, possession of marijuana, possession of a controlled substance (Viagra pills, Xanax) and possession of drug paraphernalia (pipe). Albert Anthony Massa Jr., 57, Bronson, Fl was arrested for possession of methamphetamine. Massa attempted to run and was tackled by Agents. Massa had crystal methamphetamine in his back pocket and in his right hand had $ 108.00 in cash. Michael Dwayne Douglas, 51, Bronson, Fl. was arrested for tampering with evidence and possession of drug paraphernalia. Douglas upon seeing Agents immediately threw down a multi color glass pipe commonly used to smoke marijuana. Douglas admitted that the pipe belonged to him and he smokes marijuana. While Agents were searching the property a 1995 Isuzu Rodeo pulled in the driveway. Agents immediately confronted the occupants in the truck and identified the driver as Crystal Fontenot, 34, Belleview, Fl., passengers John Williams, 24, Belleview, Fl. and Gidget Marie Temperato, 44, Ocala, Fl. Inside the truck on the floor board were 24 oxycodone pills wrapped in a napkin. In the driver's seat Detectives located a pill bottle in the name of Crystal Fontenot for oxycodone, 30 milligrams. The pill bottle was filled on Friday, March 16, 2012 for 150 pills and only had 12 pills remaining in the bottle. The investigation revealed that the driver, Crystal Fontenot, 34, Belleview, Fl. sold twenty-five oxycodone pills to John Henry Williams. Williams purchased the oxycodone pills for $450.00. Upon detaining Fontenot she allegedly had a medical issue and Levy County EMS was summons to the scene. Fontenot was transported to a local hospital and a sworn complaint has been filed for one count selling/distributing a controlled substance. A decision was made to file a sworn complaint where the Levy County tax payers did not have to pay for Fontenot's medical treatment. Williams was arrested for possession of a controlled substance and tampering with physical evidence. Temperato was in possession of a black zip bag that contained a methamphetamine glass pipe and a straw. Temperato was arrested for possession of drug paraphernalia. Major Evan Sullivan recommends the trio to receive the Darwin Award for being the "Dumbest Criminals". While Sheriff vehicles were at the scene and Agents with flashlights searching the property the trio pulled in the driveway and was greeted with a friendly smile. Johnny Jerome King was convicted in Alachua County in 2004 for lewd and lascivious molestation on a child and sexual battery. March 14, 2012 King was released from Department of Correction and now residing at the below address in Levy County. For a complete listing of all registered sexual predators and offenders residing in Levy County, or to search by zip code, please visit www.flde.state.fl.us and go to the sexual data base. 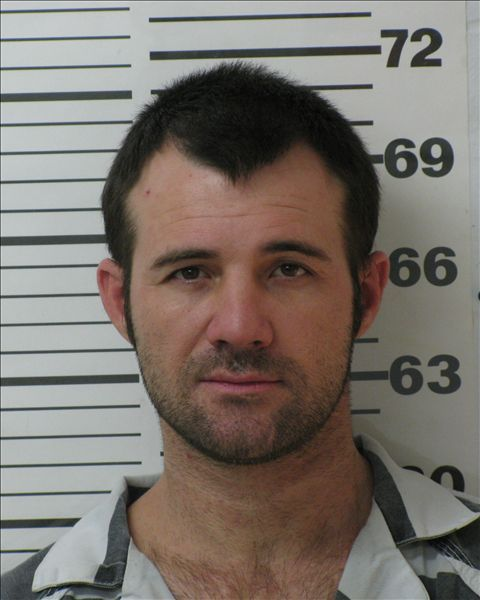 The Levy County deputies searched for a 35 year old Williston man last night, Saturday, March 10. The Sheriff's Office received a phone call around 10PM from family members that their love one did not return from fishing. The investigation revealed the man did not have permission to fish a Williston rock quarry and was dropped off around 1:30 PM. The man was going to fish all day and meet family members at 6:30 PM at a predetermined location. Relatives became alarmed when the man was not at the pick up location and he has type II diabetes and dependent on insulin shots. The man was not prepared to stay in the woods all night since he didn't take any water or food on his fishing trip. The Sheriff's Office is very familiar with this area. Detectives in the past have investigated a drowning of a young child in an adjacent rock quarry and feared the worse. Deputies realized that this was not going to be an easy task due to numerous lime rock pits in the area and hundreds of acres to canvass. 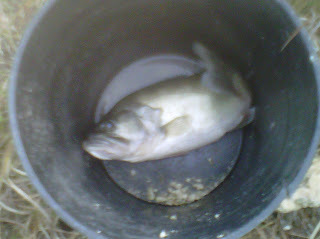 The search revealed the man's 5 gallon bucket with a two pound bass in the bucket that was near a cliff. It was unknown if the man had a medical issue and possibly fell in the lime rock pit that deputies seen several alligators in the water. Deputies, detectives, bloodhounds and a helicopter searched for hours to no avail. The ground search had to be suspended for the safety of deputies due to the terrain and over 40 feet cliffs. The newly formed Ag/Marine Unit was activated and the search began in the day light hours. Around 10:15 Sunday morning the man was located walking in the woods. The man stated to detective Crooms that he became thirsty and left the pit to look for water. The man stated that he was tired and dehydrated and went to sleep in the woods. The man was reunited with his family members and no criminal charges have been filed. On March 2, 2012 the Levy County Sheriff's Office investigated a theft of cash in the amount of $357.00. The victim reported that a friend gave Kevin Doekhi a ride and her purse was in the passenger side floorboard of the vehicle. The victim noticed the cash stolen and suspected Doekhi since he had access and was within inches of the purse. On March 3, 2012 Deputy Scott Stancil and Detective Roger Bell was investigating an armed burglary at a Williston home. The victim stated that he left his residence for a couple hours and upon returning home he discovered that someone broke the back window. The suspects stole two loaded rifles and attempted to sell the rifles to three different people. The investigation revealed that Doekhi did sell a rifle to a person for $30.00. 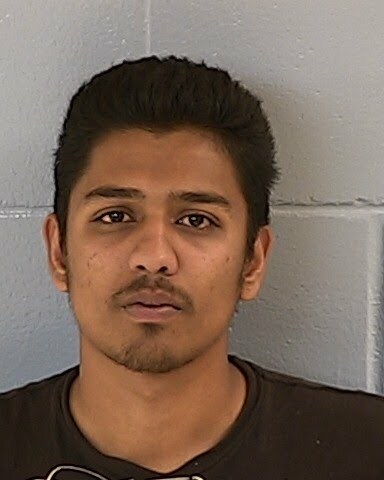 The manhunt began and the deputies located Doekhi in a vehicle with Kenneth Cowart on Saturday, March 3rd. Doekhi was questioned about the stolen cash and armed burglary and he lied about his involvement. Through the interview Doekhi stated that he stole the cash the previous day and used the money to buy marijuana, gas, food and went to Orlando and spent the remaining money on a prostitute. Doekhi did admit to breaking into the victim's home and stealing the rifles. Upon interviewing Cowart he also lied about his involvement but later confessed to entering the residence and stealing the rifles. Doekhi was arrested for armed burglary, two counts of grand theft and dealing in stolen property. 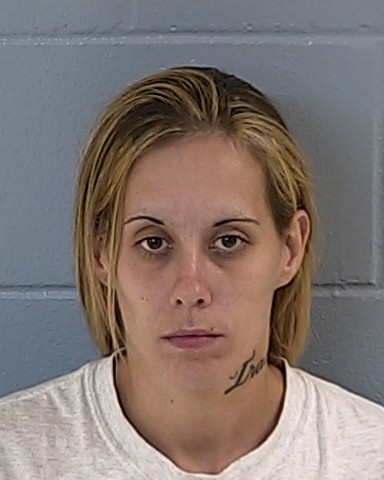 Cowart was arrested for armed burglary and grand theft. On March 7, 2012 the Levy County Sheriff's Office Drug Task Force conducted an undercover drug operation in the Chiefland area. During the reverse deal Tracy Smith and Kelly Colson were arrested on multiple charges. Case Agent Burt Miller set up a drug reverse deal with the above defendants and met with them at a local business. Prior to the drug deal Smith contacted authorities by telephone to set the drug deal, location and price of the pills. Any person that utilizes telecommunication to set up any drug deals commits a third degree felony and according to Major Evan Sullivan the Sheriff's Office has a zero tolerance for this type of behavior. Upon arriving at the predetermined location Smith & Colson met with the source on the side of the business and purchased oxycodone pills. During the buy bust Smith was ordered to the ground and refused to comply with a lawful order. Smith was physical restrained and placed into custody. During a search, Smith had a needle and a spoon in his pocket. Smith was arrested for purchasing a controlled substance, possession of a controlled substance, unlawful use of telecommunication, possession of drug paraphernalia and resisting arrest without violence. Colson had her one year old child in her truck during the drug deal. Colson was arrested for child neglect and possession of drug paraphernalia. Colson had three syringes and one spoon that contained a white substance residue. The Department of Children and Families were notified and took custody of the child. 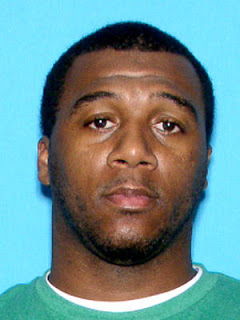 On March 8, 2012 Deputy Scott Stancil responded to 17451 NE 40 Street Williston in reference to a stolen vehicle. The victim advised that unknown person(s) stole her 1995 white Dodge Dakota truck. Through the investigation Deputy Stancil noticed foot tracks in the victim's yard and followed the tracks to 17650 NE 40 Street. Upon making contact with Brian Sutherland he denied being involved in the theft of the truck and stated that he has not been at the victim's residence in several days. Deputy Stancil and Sgt Mike Narayan continued the investigation and received a tip that Sutherland was seen at a local business in the stolen truck. Stancil responded to the business and watched a video surveillance depicting Sutherland driving and parking the stolen truck in the parking lot. Upon returning back to Sutherland's residence he was observed walking down the dirt road. Sutherland advised that he was scared and parked the stolen truck in the woods. Sutherland admitted to stealing the truck and went to a local store to buy alcohol. Sutherland was arrested for grand theft auto and he was transported to the Levy County Jail. 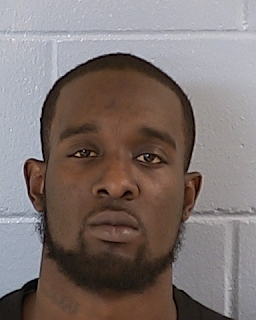 On March 6, 2012 Agent Burt Miller arrested Marshal Myrick Jr. for fleeing and attempting to elude a police office, resisting arrest without violence and driving with a suspended driver's license. Agents Miller & Jay Bolton with the Drug Task Force attempted to stop a white two door Buick for a traffic violation. Myrick refused to stop and accelerated to 55 mph in a 35 mph speed zone. Myrick continued to elude Agents in east Williston and almost lost control of his vehicle at 21151 NE 37 Place. Myrick regained control of the car and continued the pursuit and bailed out of the car at 3750 NE 212 Court. Myrick ran on foot and Agents gave chase on foot. Myrick jumped fences in attempt to elude Agents on foot. Myrick refused to stop running and Bolton was forced to tackle him and place him in custody. Myrick was transported to the Levy County Jail and his bond was set at $ 51,000.